In all areas of her life, Patricia Rose Maria Eufemia Nelson strives to be kind, to be honest, and to do the right thing. She decided she wanted to be a lawyer in high school, but had three children over the course of three years and needed to stay home to raise them. She never forgot about her dream, however, and, when her kids were more grown, she knew her time had finally come. Ms. Nelson proceeded to obtain degrees in political science and philosophy from the University of Toronto and an LLB from Osgoode Hall Law School, which propelled her to the fruitful career she maintains to this day. As the lawyer and principal of Nelson Family Law, Ms. Nelson is reveling in the opportunity to provide her clients a positive, welcoming environment. Her primary focuses are on family law, high net-worth clients, custody, and child support. Ms. Nelson’s favorite part of the profession is working toward resolutions as effectively and fairly as possible and, ideally, salvaging relationships between her clients and their former life partner. This is especially important to her when children are involved. One of the highlights of Ms. Nelson’s journey was when one of her clients got to hold his 6-month-old baby for the first time right outside the courtroom; being part of this heartwarming moment was truly moving. She is also proud of her own personal growth during her time in the industry. Over the years, Ms. Nelson has built a solid reputation as a reasonable and ethical lawyer, and feels her experiences have taught her to be more patient, thoughtful and empathetic. She recently expanded her firm and, looking forward, intends to keep moving on this path. What she does isn’t just a job to her; it’s a lifestyle. When Ms. Nelson has free time, she mentors others in her field, publishes work on topics like international relations and paternity and child support, and offers pro bono services. 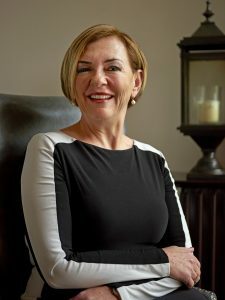 In 2002, she authored “The History and Future of DNA Science in the Courtroom” and “Building or Dismantling Cases Using DNA Evidence,” and was featured in the “Fourth Annual Canadian Symposium on Forensic DNA Evidence.” She has earned many accolades for her hard work and dedication, including an award for being the top regional family law firm in Canada from Corporate LiveWire in 2016. She was further honored as a super lawyer by Corporate LiveWire in 2015 and for having the best regional family law firm by Acquisition International in 2014.